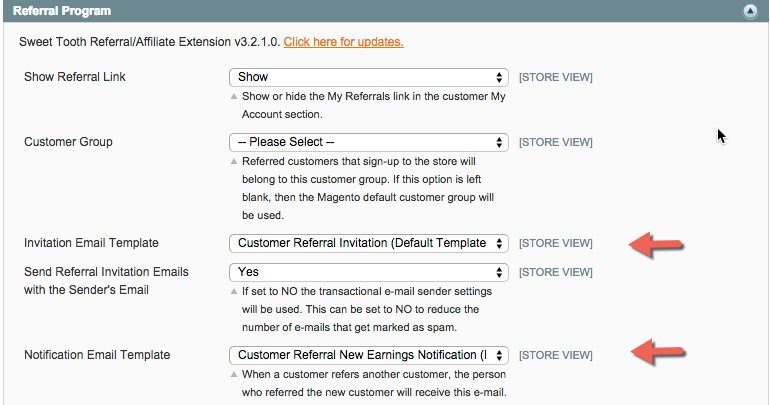 Similar to native Magento functionality, MageRewards will send out emails to customers when certain events occur. These are called Transactional Emails and they are entirely managed thorough Magento's Transactional Email system. 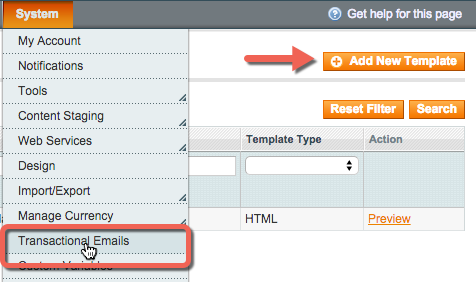 You can access the Magento's Transactional Emails in the Admin Panel under the System menu. Out of the box, all Magento and MageRewards emails come with a default basic design. Unless an administrator adds a custom template to the Transactional Emails list, the default emails will be sent out to customers. Don't forget to save when you're done! Here is a full list of email templates and variables. Below are some examples. Sent when a customer sends a referral invitation to their friend from the My Referrals section under My Account. Sent when a referral receives points through some action carried out by their referrer. Go to System > Configuration > MageRewards Rewards > Referral Program and change the templates to your own custom-built one similar to the screenshot above. Sent when a customer's birthday occurs only if a points rule has been created and enabled for this event. This is the template used for most milestone based rules. Sent when an inactivity milestone is reached by a customer if such a rule has been defined. 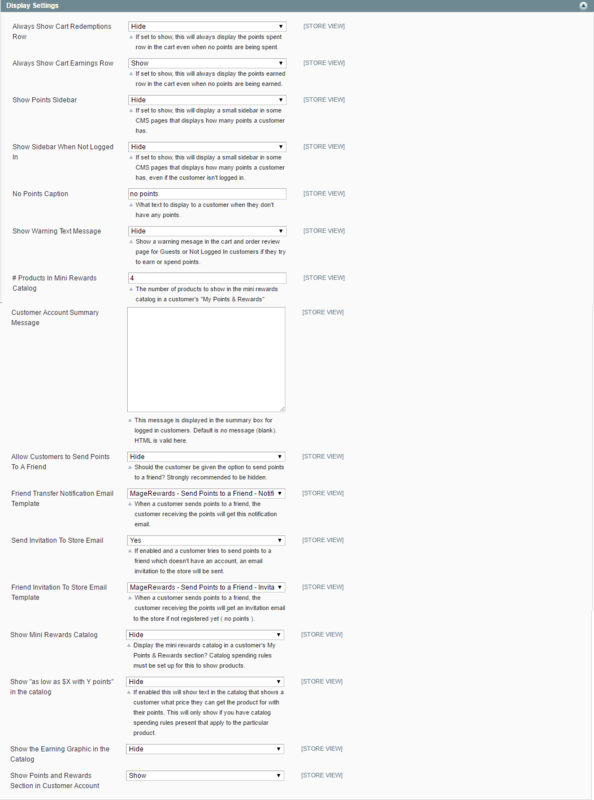 Go to System > Configuration > MageRewards Rewards > Milestone Rules and change the template to your own custom-built one similar to the screenshot above. These emails are sent off as warning notifications if a points expiry has been defined. There's two templates (Warning #1) and (Warning #2) which you can send out at different times before the expiry. These emails belong to the Points Summary Emails feature when it's enabled. If a customer attempts to send points to a friend who isn't subscribed to your store, an invitation email is sent out. Go to System > Configuration > MageRewards Rewards > Display Settings to turn the feature on or off and specify custom email templates for it as per the screenshot below. If a customer sends points to a friend who is subscribed to your store, they will receive this notification.